Could we order one of these chairs for October? We had ordered one for our middle daughter in June, and she LOVES it!!! 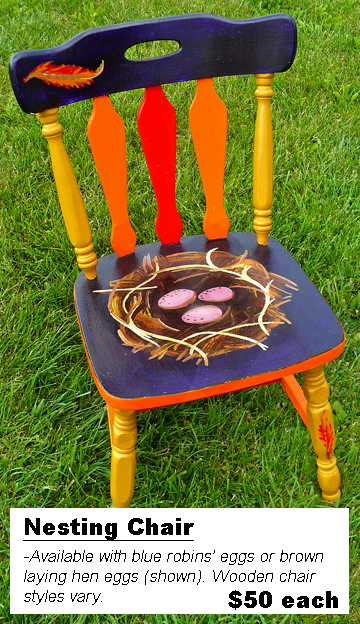 Her older sister turns 5 in October, and she’s been asking since June for her own personal chair 🙂 We love the dark colors that are used in the picture you have displayed, as well as the eggs displayed. If you have time to do such a chair, that would be great! Just let me know!!! THANK YOU!